A new screen will open. Click Continue Anyway. Your account will be canceled on the date indicated. 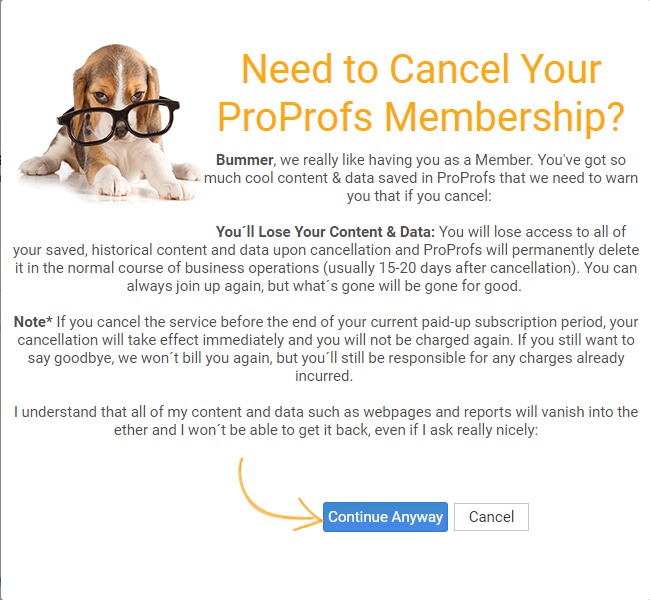 There is no undo function for a cancelation. 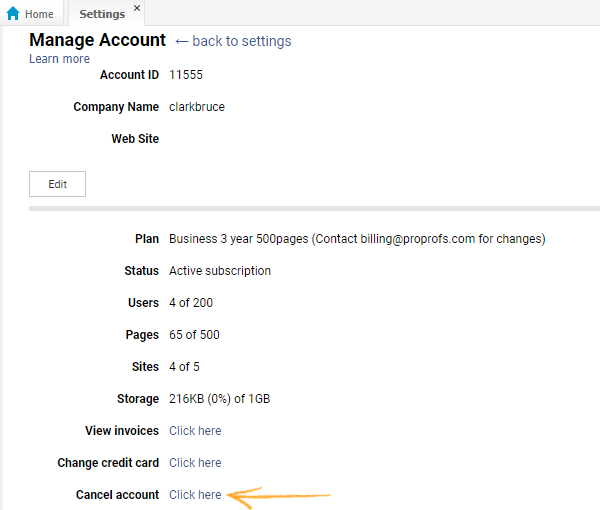 Once your account is canceled, all of your site information will be permanently deleted.